Kevin Hart is an award-winning actor and comedian. 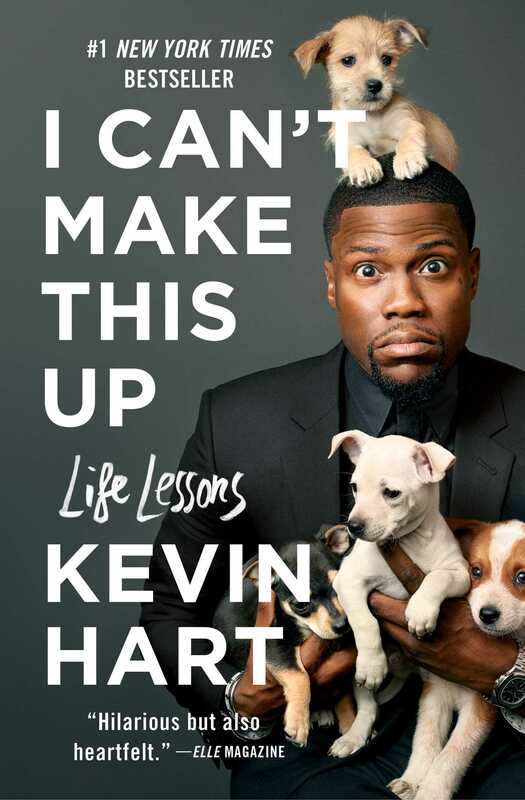 His films, including Kevin Hart: What Now?, Central Intelligence, Think Like a Man, Get Hard, Ride Along, The Wedding Ringer, and The Secret Life of Pets have earned over $3.5 billion at the box office. His stand-up comedy tours, including Let Me Explain, Laugh at My Pain, and What Now?, have sold out arenas and football stadiums, leading Forbes to name him the “king of comedy.” He is also the first comedian with a Nike sneaker line; a television producer, creating the BET show Real Husbands of Hollywood and the Laugh Out Loud Network; and CEO of Hartbeat Productions. Hart currently lives in Los Angeles with his family. "[An] emotion-filled memoir full of grit and humor...Inspiring and thoroughly entertaining, Hart's memoir brings his readers into his hilarious universe of stories and philosophy."